Award Winning. Published. Far from Ordinary. ELC Drama. The ELC Drama Program offers grade 9 through 12 drama. All courses are designed to challenge the whole student in a safe environment. Students are encouraged to take risks, overcome performance anxiety - and step out of their comfort zone in order to bring forth their unique form of creative expression. The Grade 9 program focusses on BEING BRAVE, the grade 10 program focusses on BEING HEARD, grade 11 BEING SEEN, and Grade 12, BEING PROFESSIONAL. Students in grade 11 and 12 have the opportunity to test their unique creations by performing in public forums. 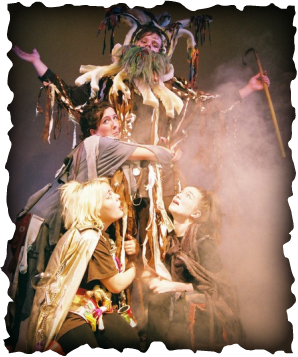 Drama, like no other subject can, engages the whole learner in an exciting and active way. We exercise multiple intelligences, and divergent thought processing - creative and critical thought are fundamental to what we do! Every year there is something new - listen for announcements and get involved!